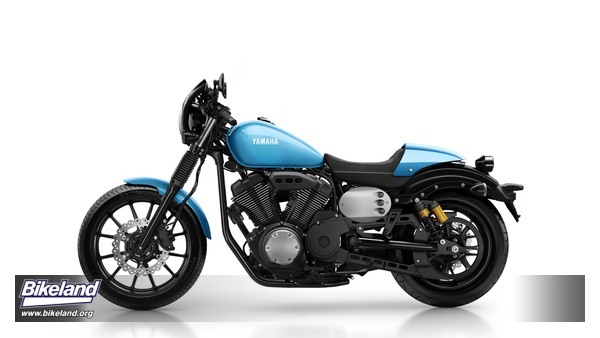 Yamaha throws another hat into the custom bobber category with a special "Racer" edition of their XC950 model. The phrase "Inspired by the past, built for the future" perfectly describes what each model in the Yamaha Sport Heritage range stands for. During the past 60 years, Yamaha has been responsible for producing a significant number of ground breaking and iconic models that have stood the test of time. Bikes such as the VMAX, XJR1300 and SR400 have inspired generations of riders and have become an established part of motorcycling folklore, and the new XV950 Racer is ready to continue in this tradition. Yamaha are working closely with some of Europe's most innovative and exciting custom builders in order to develop a range of unique and evocative Yard Built specials. The XV950's versatility and customizing potential is clearly demonstrated by the 'Boltage', a stripped back street racer built by Christian and Raphael Bender - while the inspiration for the new XV950 Racer has come from the 'El Ratón Asesino' - a stunning café racer produced by legendary German custom builder Marcus Walz. 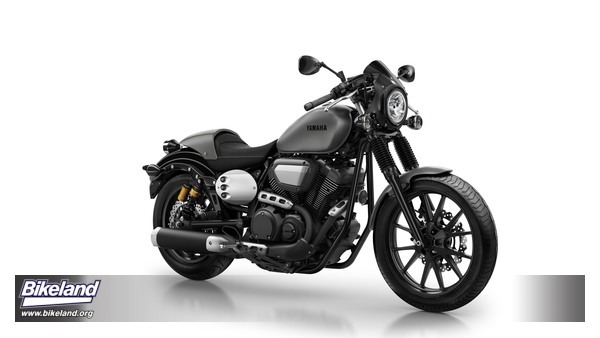 Featuring raw, minimalist and original styling that draws on low rider and café racer influences, this new model represents a new concept in sport V-twin design, and underlines Yamaha's on-going commitment to the development of original and exciting motorcycles in the Sport Heritage range. Producing maximum torque of 8.1kg-m at 3,000 rpm - and maximum power of 52.1PS at 5,500 rpm - the 942cc air-cooled 60-degree V-twin engine is built to deliver strong acceleration from low engine speeds. The bike's short and low chassis ensures agile handling performance both in the city and on twisty back roads, and this combination of a gutsy engine and agile chassis - as well as the special mix of low rider style with café racer ergonomics - makes the new XV950 Racer a truly unique and exciting motorcycle. What distinguishes the new XV950 Racer from other models is its forward-leaning riding position that gives the rider a great sense of unity with the motorcycle for a sporty riding experience. This has been achieved by the use of forged aluminium 22.2mm diameter clip-on handlebars that are positioned 156mm further forward and 78mm lower than on the XV950/R models. The fact that the bars are 22.2mm diameter - as opposed to the larger diameter designs used on the other XV950/R models - enables the use of slimmer supersport type handlebar grips that reinforce the sporty character of this gutsy and agile V-twin. The clip-on handlebars are equipped with compact new switchgear and clutch/front brake levers that reinforce the sport-oriented feel, and the front brake's master cylinder has also been reduced in size. The fitment of a black coloured aluminium plate on the handlebar crown highlights the bike’s racer-looks - and the classic-looking single instrument pod is centrally positioned above the headlamp. As well as the use of exclusive new clip-on handlebars, the XV950 Racer also features newly developed rear-set footrests that are 150mm further to the rear and 29mm higher than those fitted to the XV950/R. The Racer's slim new single seat is 75mm higher than the XV950/R models, and the new ergonomics help to centralize the rider/machine mass for sports handling performance together with improved cornering and high levels of riding comfort. The slim new single seat is fitted with a compact and lightweight cover that blends beautifully with the steel rear fender. Together with the clip-on handlebars and rear-set footrests, this gracefully curved cover enhances the bike's café racer styling. The XV950 Racer comes equipped with a mini café racer cowling that, together with the single round headlight and clip-on handlebars, perfectly captures the spirit of the original café racer movement. Another feature that marks this machine out as an original are the aluminium side number plates. Featuring three 'weight reduction' style holes, these plates - together with the cowl and seat cover - underline the bike's café racer soul and emphasise the metallic rawness that makes this air-cooled V-twin so desirable. The front and rear suspension systems on the XV950 Racer have been developed to match the sporty character of the machine, and the 41mm forks offer 144mm travel, 9mm more than on the XV950/R models. Classically styled fork boots are fitted to the new black-coloured forks, reinforcing the bike's timeless good looks that are designed to appeal to riders who appreciate attention to detail. 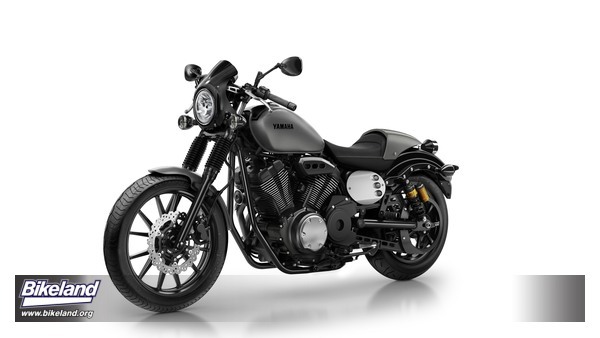 Yamaha have developed a wide range of accessories designed for the new XV950 Racer. Like all of our Sport Heritage models, the stock machine is a 'blank canvass' that enables riders to express themselves and create a unique machine that suits their own taste and lifestyle.